This Pay-Per-View page will in the future be a page where we will expand our collection of videos and short films for rent. 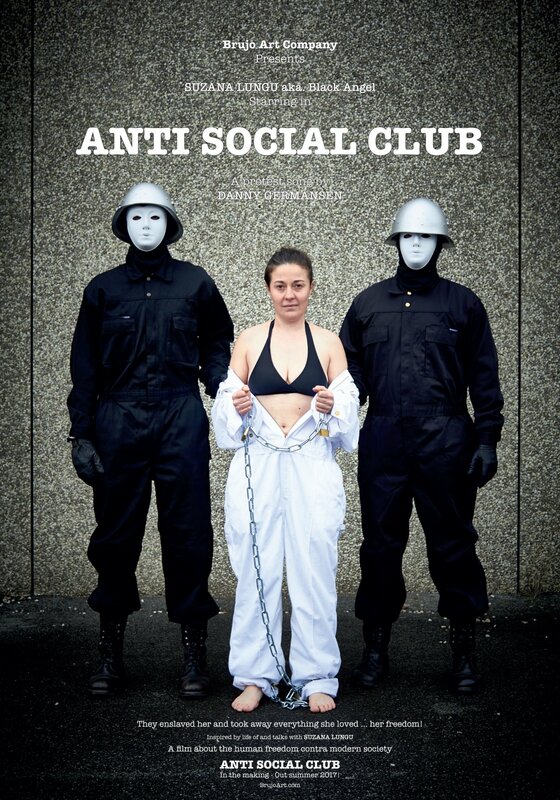 The first short film we have for rent now is ANTI-SOCIAL CLUB and later in the Autumn 2019 we will have the premier of our new short film MANIFESTATION – Currently in production now. For renting the film please PRESS THE RENT BUTTON in upper right corner of the video – Its the button showing you the price for renting the video. Your payment will go safe thru Vimeo’s video service. Vimeo is a professional streaming website for independent filmmakers and have high quality video players. You can easy and safe make payment thru Vimeo and for free make an account to view our films. You can with the Vimeo app watch on Apple TV and iPad / iPhone and also with Android Vimeo app on tablets & Phones, Android TV, smartTVs, Roku, Amazon Fire TV devices, Chromecast and in your webbrowser. Notice: When you rent or buy the film thru Vimeo. You will receive an Email with confirmation of payment and a link to the film on Vimeo to watch. If you rent the film you have access to the film for 48 hours. Watch the Trailer for Free. INFO: / Duration 24 min / Audio: English / Color + Black & White / Ratio 16:9 / Digital HD / Year 2018.